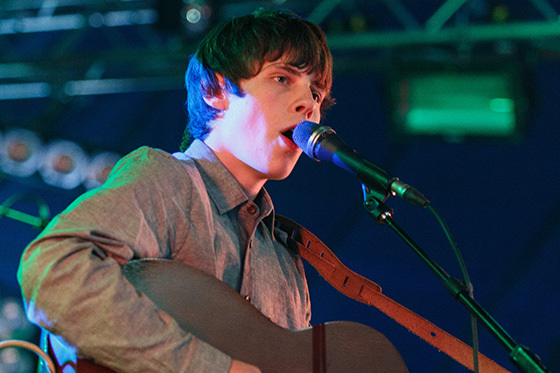 Experienced sound engineer Ric Peet has spent the last six months mixing a variety of acts in a vast cross-section of venues — and has been pivotal in Nottingham singer-songwriter Jake Bugg's meteoric rise to stardom. During that period the roster of artists could scarcely have been more extreme, ranging from Crazy P and Saint Saviour to his present stint with Jack Savoretti. A rugged and dependable vocal mic was imperative, and since being introduced to the AKG D7 dynamic mic at KOKO (when he arrived there with Crazy P) he has never looked back. “I instantly fell in love with it,” he says. But it's been on Jake Bugg's live performances that it has really been noticed. Introduced to the singer's manager Jason Hart in their native Nottingham, he wondered how the D7 would work with harder, grainier vocals. “Jake was already quite mic savvy and the manager immediately remarked on how much he loved the vocal sound. The D7 just seems to bring out the characteristics of the voice, whoever the vocalist is,” reports Peet. As a former studio engineer Ric Peet has always been around AKG mics. He has also hired in AKG's new DMS700 wireless system, running the D7 capsule, and will shortly turn that into a system purchase. On his current outing, not only can the smoother vocal timbre of Jack Savoretti be heard through the D7 but the sound engineer has also miked the drum kit with AKG C518Ms, with the latest C414 XLS assigned to the overheads and hi-hat. “Everyone is loving the sound of AKG,” he confirms. All AKG products are distributed in the UK & Eire by Sound Technology Ltd. For more information please call Sound Technology Ltd on 01462 480000 or visit www.soundtech.co.uk/akg.